Cable rose on the USD weakness overnight and had paused just under the previous high at 1.6109. Shorter timeframes are showing slightly higher highs that is favoring a break to the upside. 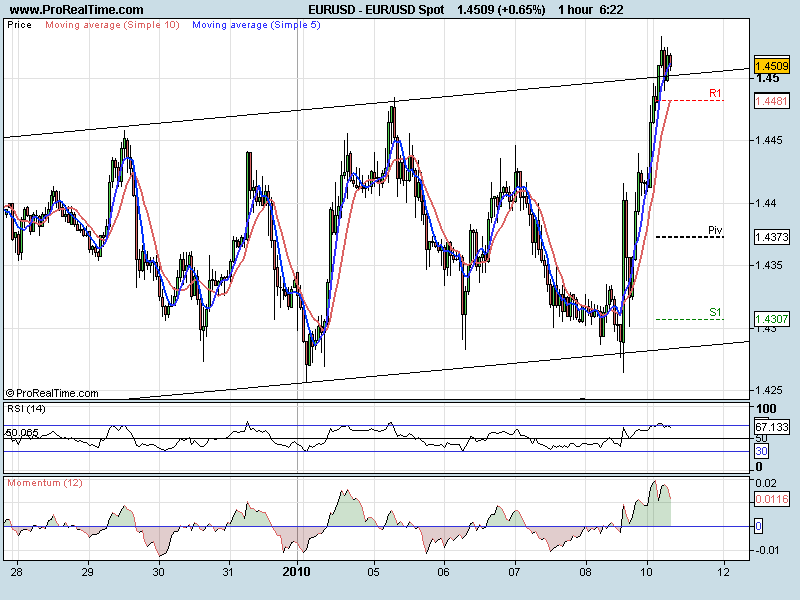 The next zone of resistance would be around 1.6155 -1.6171 then the previous high at 1.6240. A move lower and 1.6037 will be the first support level. 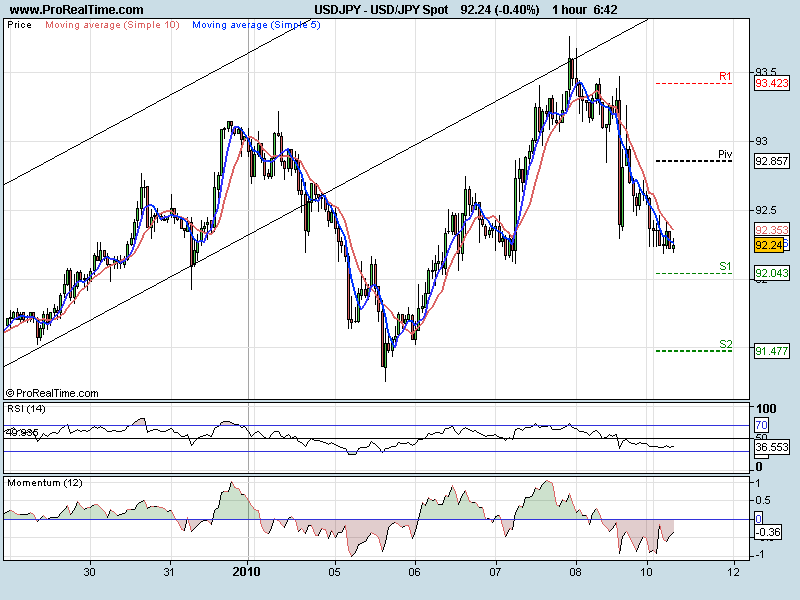 USDJPY has moved down to the support area at 92.15. We look like we may be forming a temopary base at this level. A move higher should take us up to 92.75 where we may see a reaction lower again. This would possibly form a Head and Shoulders formation with the next leg lower to the lows at 91.26. If we were to break 92.75 then we would need to eye 93.80 for a break. Outside the channel to the downside now. 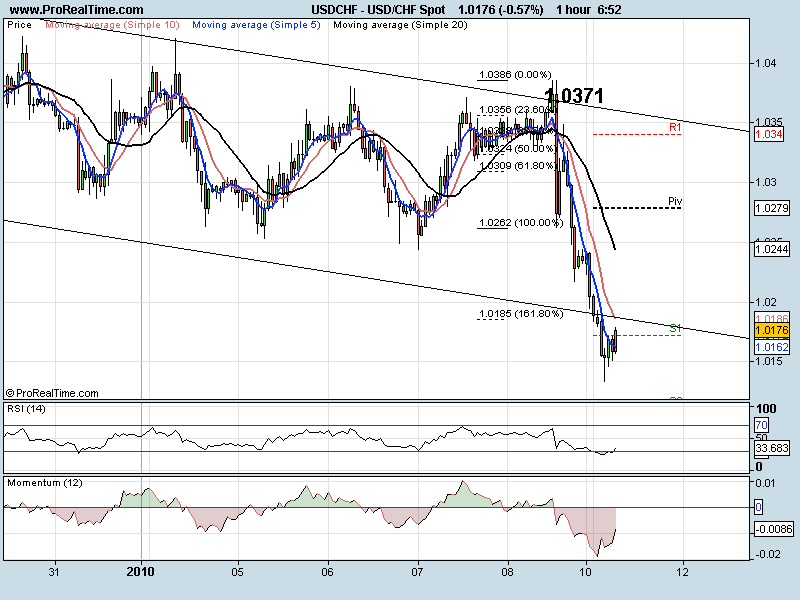 We are looking heavily oversold on both the 1 and 4hr charts. We may make a corrective move higher from here. 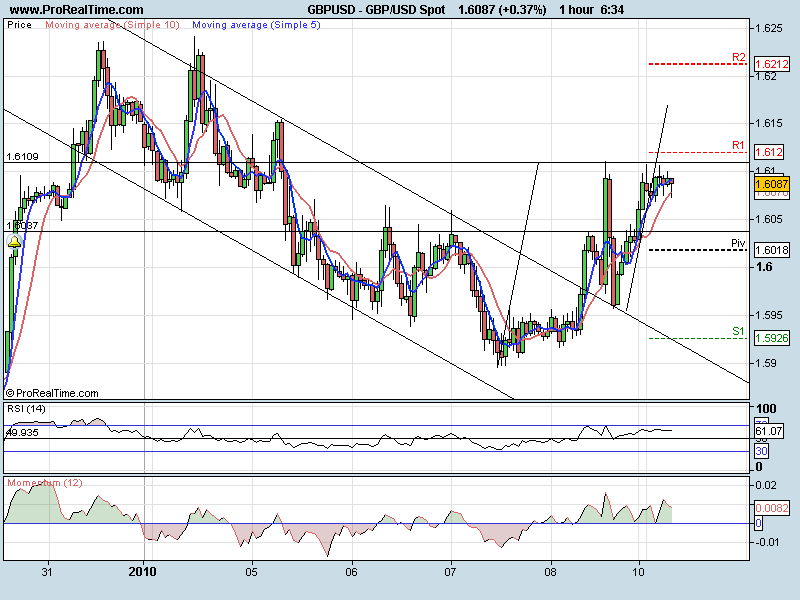 The trend line is now at 1.0187 (previous support, now resistance). One thing that should be noted, the move higher from the 26th of November to the 17th of December (0.9918 -1.0510) has just retraced 61.8% (1.0142) and spiked lower on the 4 hr chart. However, we would need to see a move through 1.0385 to turn long term bullish.